Kellogg 2019 annual meeting is April 26th. Stock price fared poorly for the last five years, so the CEO should not be paid as if he had average performance. Vote AGAINST pay. The Compensation Committee should not be reelected, since they recommended average pay for below average performance. Vote AGAINST Laschinger and Tasted. Vote AGAINST ratifying the auditor. They have served for more than seven years, so independence is questionable. Vote FOR declassifying the board, so that we can hold each member accountable every year. Intuitive Surgical 2019 annual meeting is April 25th. Vote AGAINST (1F) Alan Levy and (1H) Mark Rubash. Vote FOR #5 Eliminate Supermajority Provisions. A stock buyback can increase senior executive pay, unrelated to performance. First, stock buybacks increase the value of long-term performance stock options and other forms of equity pay. Second, senior executives sometimes time their own stock sales to take advantage of the bump in price that usually accompanies stock buyback announcements. Such behavior defeats the purpose of incentivizing a long-term focus. To address our concern that performance pay should not be artificially boosted by a stock buyback, I recently submitted a proposal to Cisco Systems and expect to submit similar proposals to other companies. NEE Nextera Energy. through its subsidiaries, generates, transmits, distributes, and sells electric power to retail and wholesale customers in North America. Most shareholders do not vote because reading through 100+ pages of the proxy is not worth the time for the small difference your vote will make. Below, I tell you how I am voting and why. If you have read these posts related to my portfolio for the last 22 years, have values aligned with mine, and trust my judgment (or you don’t want to take the time to read it), go immediately to see how I voted my ballot. Voting will take you only a minute or two and every vote counts. Chipotle Mexican Grill, Inc. (CMG), together with its subsidiaries, operates Chipotle Mexican Grill restaurants. As of December 31, 2017, it operated 2,363 Chipotle restaurants throughout the United States, as well as 37 international Chipotle restaurants; and 8 non-Chipotle restaurants. Most shareholders do not vote because reading through 70+ pages of the proxy is not worth the time for the small difference your vote will make. PayPal Holdings (PYPL), operates as a technology platform company that enables digital and mobile payments on behalf of consumers and merchants worldwide. Its payment solutions include PayPal, PayPal Credit, Braintree, Venmo, Xoom, and Paydiant products. Charles Schwab Corporation (SCHW), through its subsidiaries, provides wealth management, securities brokerage, banking, asset management, custody, and financial advisory services. Most shareholders do not vote because reading through 100+ pages of the proxy is not worth the time for the small difference your vote will make. Below, I tell you how I voted and why. 3D Systems Corporation (DDD), through its subsidiaries, provides three-dimensional (3D) printing products and services worldwide. Most shareholders do not vote because reading through 50+ pages of the proxy is not worth the time for the small difference your vote will make. Below, I tell you how I voted and why. If you have read these posts related to my portfolio for the last 22 years and trust my judgment (or you don’t want to take the time to read my rationale), go immediately to see how I voted my ballot. Voting will take you only a minute or two and every vote counts. The annual meeting is coming up on May 15, 2018. I voted with the Board’s recommendations 67% of the time. View Proxy Statement via SEC’s EDGAR system (look for DEF 14A). 3D Systems Corporation’s ISS Governance QualityScore as of April 1, 2018 is 4. The pillar scores are Audit: 2; Board: 3; Shareholder Rights: 1; Compensation: 10. Corporate governance scores courtesy of Institutional Shareholder Services (ISS). Scores indicate decile rank relative to index or region. A decile score of 1 indicates lower governance risk, while a 10 indicates higher governance risk. Therefore, we need to pay closer attention to executive compensation. Egan-Jones Proxy Services recommends “For,” with the exception of: William E. Curran (1A), Kevin S. Moore (1I) and Jim D. Kever (1F) because they have served for more than ten years (with compromised independence) and sit on key committees, which should be composed only of independent directors. Although I agree with the thrust of their arguments, I am not ready to set that as my policy. Since I voted against the pay package, I also voted against all members of the compensation committee: William E. Curran, William D. Humes, and Kevin S. Moore. I also note, there are no women on the board. I am inclined to vote against the nominating committee next year, if that continues. 3D Systems’ Summary Compensation Table shows the highest paid named executive officer (NEO) was CEO Vyomesh I. Joshi at $1.9M. I’m using Yahoo! Finance to determine market cap ($1.3B) and I am roughly defining large-cap as $10B, mid-cap as $2-10B, and small-cap as less than $2B. 3D Systems is a small-cap company. According to the Equilar Top 25 Executive Compensation Survey 2015, the median CEO compensation at small-cap corporations was $3M in 2014, so pay was under that amount. 3D Systems shares substantially underperformed the Nasdaq over the most recent one, two, and five year time periods. For 2017 the ratio of the annual total compensation of Mr. Joshi, our CEO, to the annual total compensation of our median employee was 35 to 1. Egan-Jones Proxy Services rates compensation practices as “Neutral” and recommends For. However, to me it looks like 3D Systems is gaming the system, since they substantially reduced pay from $8.1M to $1.9M in one year. I feel I cannot ignore this recent history of overpaying. That factor and continued underperformance led me to vote “AGAINST” the say-on-pay item, as well as members of the compensation committee. I have no reason to believe the auditor has rendered an inaccurate opinion, is engaged in poor accounting practices, or has a conflict of interest. However, Egan-Jones notes the auditor has been serving as the Company’s auditor for more seven years and their independence is compromised. I also believe that the companies should consider the rotation of their audit firm to ensure auditor objectivity, professionalism and independence. I have not set a specific number of years. In this case I voted FOR. This proposal is from Myra Young, as written and recommended by me (James McRitchie), so we certainly voted in favor. Most states allow 10% to call a special meeting. Before we submitted the proposal 3D Systems had a threshold of 50+%, so we have already won substantial ground prior to this vote. We believe 15% is a reasonable compromise above the 10% standard. Proxy Democracy was down. Proxy Insight reported on CalSTRS. which also voted AGAINST the pay package and compensation committee. They voted FOR all other items, including our shareholder proposal to lower the requirements for calling a special meeting. Directors: Vote AGAINST William E. Curran, William D. Humes, and Kevin S. Moore. Ratify Executive Pay: Vote Against. Proxy access provisions are Lite. A shareholder or group of no more than 20 shareholders holding at least 3% of the outstanding common stock continuously for at least three (3) years may nominate directors, so long as the number of directors elected via proxy access does not exceed 20% of the board. Under Rule 14a-8 of the Exchange Act, certain stockholder proposals may be eligible for inclusion in our proxy statement and form of proxy for our 2019 Annual Meeting. The date by which we must receive stockholder proposals to be considered for inclusion in the proxy statement and form of proxy for the 2019 Annual Meeting of Stockholders is November 28, 2018 or, if the date of our 2019 Annual Meeting is changed by more than 30 days from May 15, 2018, a reasonable time before we begin to print and mail the proxy materials for the 2019 Annual Meeting. Ford Motor Company (F) designs, manufactures, markets, and services a range of Ford cars, trucks, sport utility vehicles, and electrified vehicles; and Lincoln luxury vehicles worldwide. Placing a big bet on the continued profitability of gas guzzling SUVs and trucks, they recently announced phasing out most sedans. Most shareholders do not vote because reading through 100+ pages of the proxy is not worth the time for the small difference your vote will make. Below, I tell you how I voted and why. If you have read these posts related to my portfolio for the last 22 years and trust my judgment (or you don’t want to take the time to read my rationale), go immediately to see how I voted my ballot. Voting will take you only a minute or two and every vote counts. Invesco Ltd. (IVZ) provides investment management services to retail clients, institutional clients, high-net worth clients, public entities, corporations, unions, non-profit organizations, endowments, foundations, pension funds, financial institutions, and sovereign wealth funds. Most shareholders do not vote because reading through 70 pages of the proxy is not worth the time for the small difference your vote will make. Below, I tell you how I am voting and why. If you have read these posts related to my portfolio for the last 22 years and trust my judgment (or you don’t want to take the time to read it), go immediately to see how I voted my ballot. Voting will take you only a minute or two and every vote counts. Gilead Sciences (GILD), a biopharmaceutical company, discovers, develops, and commercializes therapeutics in the areas of unmet medical needs in the United States, Europe, and internationally. Most shareholders do not vote because reading through 80+ pages of the proxy is not worth the time for the small difference your vote will make. Below, I tell you how I voted and why. If you have read these posts related to my portfolio for the last 22 years and trust my judgment (or you don’t want to take the time to read my rationale), go immediately to see how I voted my ballot. Voting will take you only a minute or two and every vote counts. 3M Company (MMM) operates as a diversified technology company worldwide. Most shareholders do not vote because reading through 80+ pages of the proxy is not worth the time for the small difference your vote will make. Below, I tell you how I voted and why. If you have read these posts related to my portfolio for the last 22 years and trust my judgment (or you don’t want to take the time to read my rationale), go immediately to see how I voted my ballot. Voting will take you only a minute or two and every vote counts. AXP (American Express), together with its subsidiaries, provides charge and credit payment card products and travel-related services to consumers and businesses worldwide. Most shareholders do not vote because reading through 100+ pages of the proxy is not worth the time for the small difference your vote will make. Below, I tell you how I am voting and why. If you have read these posts related to my portfolio for the last 22 years and trust my judgment (or you don’t want to take the time to read it), go immediately to see how I voted my ballot. Voting will take you only a minute or two and every vote counts. Bristol-Myers Squibb Company (BMY) discovers, develops, licenses, manufactures, markets, and distributes biopharmaceutical products worldwide. Most shareholders do not vote because reading through 70 pages of the proxy is not worth the time for the small difference your vote will make. Below, I tell you how I am voting and why. If you have read these posts related to my portfolio for the last 22 years and trust my judgment (or you don’t want to take the time to read it), go immediately to see how I voted my ballot. Voting will take you only a minute or two and every vote counts. Nell Minow is one of my heroes. Her 1991 book with Bob Monks, Power and Accountability: Restoring the Balances of Power Between Corporations and Society, helped me give a name and framework to what I thought was the world’s most important overlooked problem — corporate governance. Americans and CEO Pay: 2016 Public Perception Survey on CEO Compensation found 74% believe that CEOs are not paid the correct amount relative to the average worker. Only 16% believe that they are. CII: Public Companies Endangered Species? Are public companies an endangered species? If so, why? How can we solve that problem? 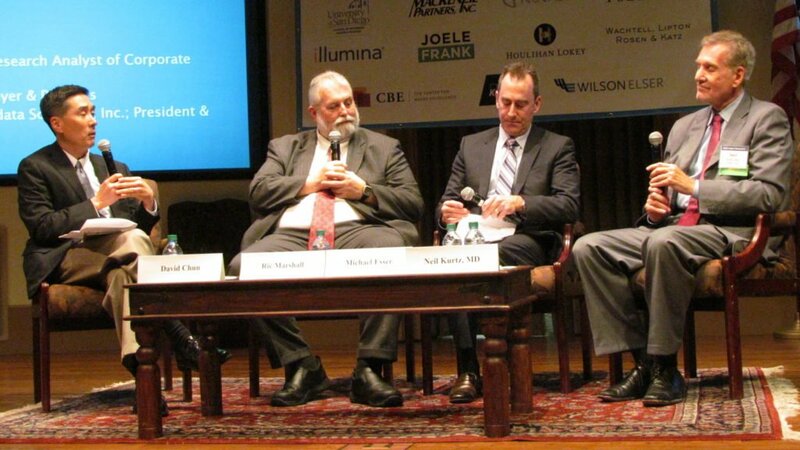 At last week’s Council of Institutional Investors (CII) Fall Conference there as an informative panel discussion entitled Public Companies: An Endangered Species? 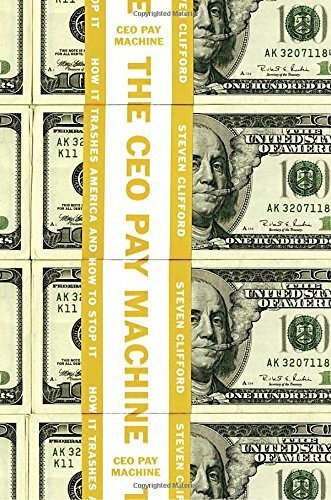 The CEO Pay Machine: How it Trashes America and How to Stop it (Amazon) by Steven Clifford should be mandatory reading for all compensation committees and those who vote proxies for large funds. The book is easily read and understood by the layperson. It also includes the fact-based evidence needed to convince fiduciaries that voting against most executive pay packages is one of the first steps to restoring shareholder value, company sustainability and the very foundations of American democracy. I voted FOR Proxy Access Amendments. See how and why I voted other items below. I voted with the Board’s recommendations 50% of the time. View Proxy Statement via iiWisdom. Are We Paying CEOs Too Much? Executive compensation is front and center on the minds of shareholders, regulators—and politicians. What IS pay? What IS performance? What are the right time frames for measuring performance? And what to do about the perception that pay is not tied to performance? I was less interested in our “perception” that pay is not tied to performance and more interested in the reality, where such discrepancies exist. 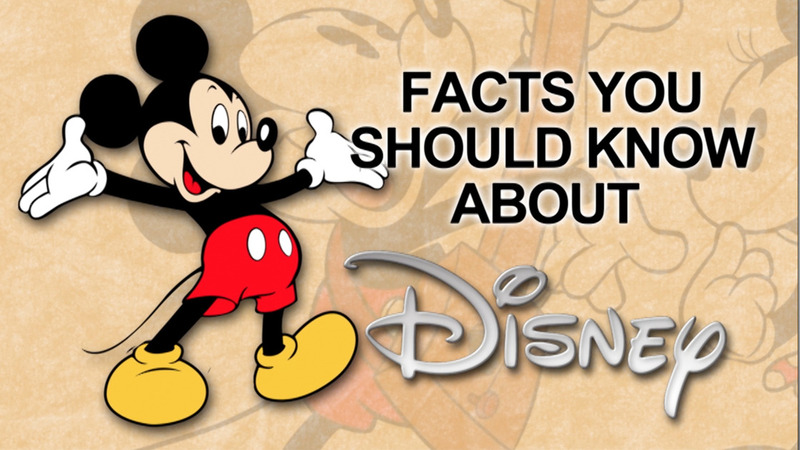 The Walt Disney Company (NYSE:DIS), together with its subsidiaries, operates as an entertainment company worldwide. The Walt Disney Company is one of the stocks in my portfolio. ProxyDemocracy.org had collected the votes of three fund families when I checked and voted. Their annual meeting is coming up on March 8, 2017. 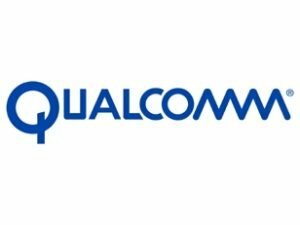 QUALCOMM Incorporated (NASD:QCOM) develops, designs, manufactures, and markets digital communications products and services in China, South Korea, Taiwan, the United States, and internationally. QCOM is one of the stocks in my portfolio. ProxyDemocracy.org had collected the votes of two funds when I checked and voted. Their annual meeting is coming up on March 7th, 2017.